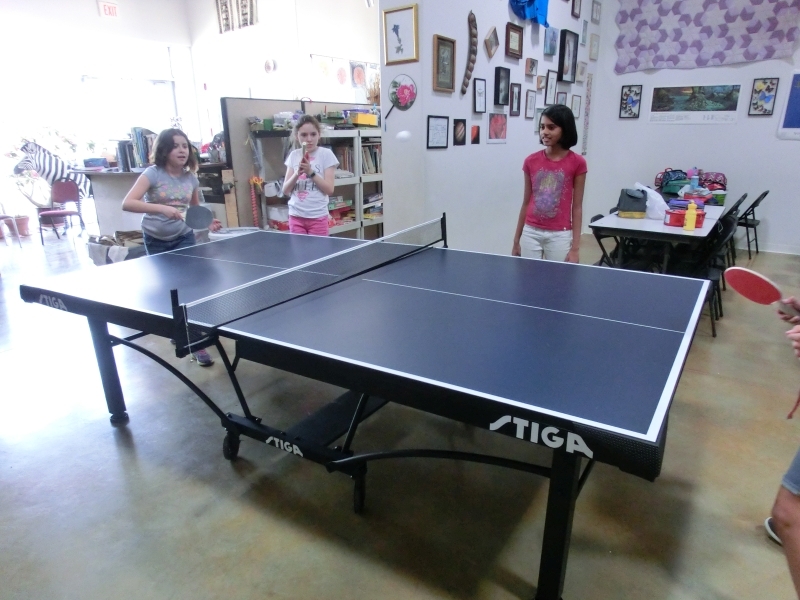 Fast response to suggestions: We now have a ping-pong table, and the students have taken to it immediately. We’d bandied the idea about months earlier, but a serious suggestion was made on the 21st at a Parent Committee meeting…and Charlotte and Duke Gard donated toward the purchase of a table. On the 23rd, Board Chair Vince Gutschick placed and order. On the 24th, Shawn Armitage, husband of teacher Ellen Armitage, lent both strength (it weighs 211 lb.) and skill to get the table assembled. Here are four of our 5th-graders playing on the 25th. That was a very windy day, so that outdoor tennis was cancelled. Table tennis is a great complement to the outdoor version. No worries about taking up classroom space: the table folds up and rolls into storage when we need to the room.